It's a busy time for corporate deals in the energy sector. Multibillion-dollar mergers are happening across the U.S. utility sector. PV monitoring companies are trading hands at a brisk pace. But what of energy storage? The stakes are rising in the nascent storage market as technologies approach commercialization and business models get more sophisticated. The first six months of 2016 highlighted a growing trend of major enterprise investors jumping into the market, according to a consensus of analyst groups consulted by GTM. What follows are the three most talked-about deals so far -- plus a few honorable mentions. Until Elon Musk announced Tesla's plan to buy SolarCity, it looked like the biggest corporate deal of the year for energy storage would end up being Total's acquisition of battery maker Saft Groupe for $1.1 billion. The deal was a large one by the standards of the energy storage industry, and it appeared to make a lot of sense for Total. Total is just about the only major oil company that has shown continued interest in green energy investments, most notably with its purchase of solar firm SunPower in 2011. Adding a storage provider to its portfolio helps balance Total's investments. While $1.1 billion -- a 38 percent premium on Saft’s market value -- might sound like a lot for a storage firm, it’s still less than the $2.3 billion Total paid for SunPower. And it's a drop in the ocean for an oil and gas giant with a market cap of $120 billion. Total isn’t the only French energy giant that’s been on the hunt for storage takeover targets. In May, the company formerly known as GDF Suez bought an 80 percent share of behind-the-meter pioneer Green Charge Networks for an undisclosed sum thought to be more than $56 million. 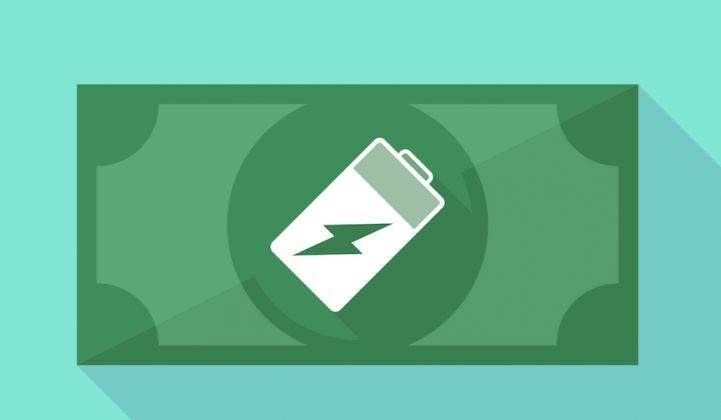 The purchase gave Engie a portfolio comprising 48 megawatt-hours of battery storage projects deployed or under development across more than 150 U.S. sites. “The company’s standalone battery and solar-plus-battery solutions complement our existing offer,” said Frank Demaille, president and CEO of Engie’s North American business unit, in a press statement. “In the U.S., Engie has developed a large customer base across all 50 states." Considering that more states are opening up for behind-the-meter storage, the investment gives Engie a jump-start in the U.S.
South Korean conglomerate Doosan’s decision last month to buy Seattle-based storage startup 1Energy signaled a desire to build a much stronger presence in the U.S. distributed energy landscape. 1Energy is to be renamed Doosan GridTech and folded into Doosan’s energy and water generation unit, Doosan Heavy Industries, to deliver “technology-based solutions for the rapidly emerging digital distributed electric grid,” according to a press release. It is thought Doosan was attracted to 1Energy’s award-winning distributed energy management system, DERO. 1Energy is pioneering attempts to create a standard for all energy storage systems as part of the Modular Energy Storage Architecture (MESA) Alliance, which is working alongside the SunSpec Alliance to get batteries and inverters to communicate more easily. MESA’s work will likely build on DERO, which is already being used by customers such as the Snohomish County Public Utility District. The purchase gives Doosan a leading position in the development of tomorrow’s storage software. Mercom Capital Group, which tracks clean energy mergers and acquisitions, lists a number of less significant deals so far this year. In April, for example, the German PV company Solarwatt bought E-Wolf, a 19-employee storage startup. Last month, Metair, a South African vehicle components maker, paid $7.3 million for a 25 percent share in Kenyan Associated Battery Manufacturer East Africa Limited.